Matthew and Gary have designed this range of Fabulous bouquets and arrangements using flowers handpicked from the London flower markets. Only the finest blooms are used in our bouquets. Our bouquets are hand made with care in our shops by us using the finest flowers available in the U.K. They are luxuriously wrapped in our signature style and your bouquet will arrive with a pretty flower card with your personal message. 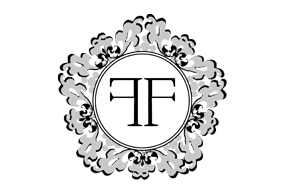 Fabulous Flowers are a premier florist with shops in Oxford and Abingdon. Fabulous Flowers provide flowers for weddings, events, gifts and a corporate bespoke flower service. We sell beautiful bouquets of flowers online and deliver to in Oxford, Abingdon, Kidlington, Sutton Courtenay, Milton Park, Didcot and surrounding areas. We are also happy to have your order waiting for you upon pickup. Please call us on (Oxford) 01865 511811 or (Abingdon) 01235 520346 to arrange delivery or pickup.